Amazon Prime Video has announced that the Mammoth Screen and Agatha Christie Limited series The ABC Murders will make its US premiere on February 1, 2019 on the streaming service. The adaptation of the novel of the same name will debut on BBC One in the UK. The ABC Murders is the second of three dramatic series adaptations from Agatha Christie Limited for Prime Video in the US. 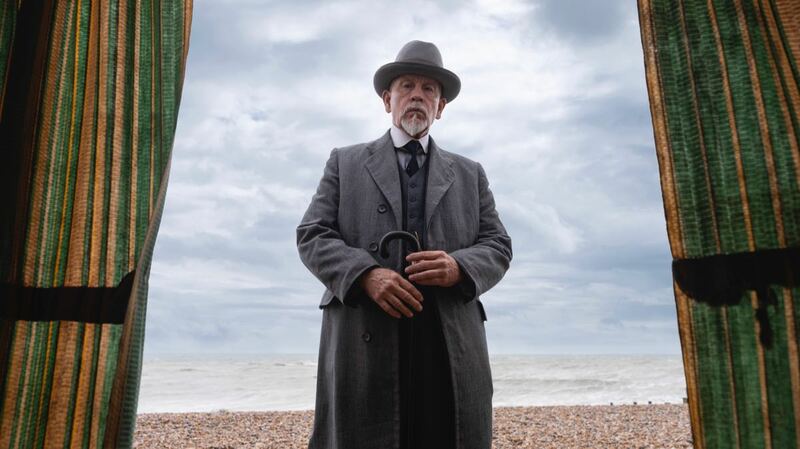 Adapted by Sarah Phelps (The Casual Vacancy, The Crimson Field), the three-part limited series stars two-time Academy Award-nominee John Malkovich (Being John Malkovich) as one of literature’s most famous detectives, Hercule Poirot. It’s 1933 and a killer travels the length and breadth of Britain via the railway network. The killer uses the alias ABC, and strikes in a methodical pattern, leaving a copy of the ABC railway guide at the scene of each of murder. As Poirot (John Malkovich) attempts to investigate he is thwarted on every front. If he is to match his most cunning nemesis, everything about him will be called into question: his authority, his integrity, his identity. The ABC Murders also stars Rupert Grint (Harry Potter and the Deathly Hallows), Andrew Buchan (All the Money in the World), Anya Chalotra (Wanderlust), Eamon Farren (Twin Peaks), Jack Farthing (Poldark), Tara Fitzgerald (Game of Thrones), Shirley Henderson (Bridget Jones’s Baby), Bronwyn James (Harlots), Freya Mavor (The White Queen), and Michael Shaeffer (Rogue One: A Star Wars Story). The series is directed by Alex Gabassi and produced by Farah Abushwesha.